The international jury of the Prix de Rome has selected four architects for the shortlist of the Prix de Rome 2018. The nominees are: Alessandra Covini / Studio Ossidiana, Bram van Kaathoven, Katarzyna Nowak en het duo Rademacher de Vries. For the final round the four candidates are challenged to make a fictional design for the Sixhaven area in Amsterdam. Each shortlist architect will receive a working budget and will be given the opportunity to develop a new design proposal during a three-month period in which they will relate to the assignment entitled ‘High Pressure’, formulated by the jury. 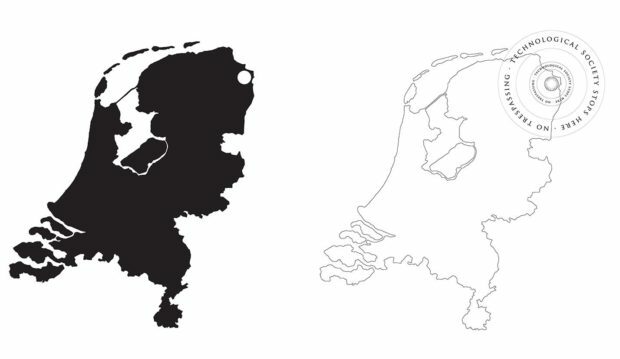 Their proposals will be exhibited at Het Nieuwe Instituut in Rotterdam from mid-October. Based on the new plans, the jury will announce the winner later that month. The winning architect will receive 40,000 euros and a residency at the American Academy in Rome. The jury made its selection from a list of 66 architects, urban planners and landscape architects who submitted a plan in reaction to the open call of the first assignment which addressed issues for a Low Pressure area in the province of Groningen. Participants were challenged to design an intervention in the rural area around the small villages Hongerige Wolf and Ganzedijk and the dike in between. The jury was pleasantly surprised by the potential of most of the 66 candidates. The assignment for the first round challenged architects, landscape architects and urban planners to come up with a broad variety of approaches. 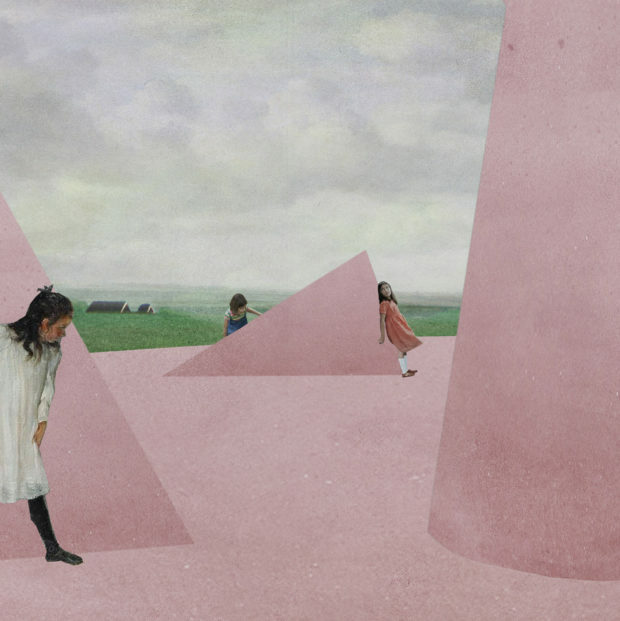 Many of them were aiming to put a face on the problems in the area; others were looking at the landscape, were addressing social problems, or chose a poetic approach. Some candidates had difficulties choosing their focus point and convincing the jury. In general, the members of the jury were impressed by the efforts candidates put into the making of the 3D models. Some of them really stood out. In the selection of candidates for the shortlist, criteria like an innovative attitude, the spatial quality of the intervention, a radical, unpredictable or surprising design and further potential for development played a key role. Furthermore, the jury was looking for candidates who seriously studied the area and came up with spatial solutions that matched with the analyses and ideas as described in their texts. The jury also judged the relevance for the area and questioned whether the solutions would be able to set something in motion. Did the candidates use their imagination? Or were they putting forward new paradigms? After careful consultation, the jury chose four architects who possess these qualities and who make the jury curious about their next steps. The jury is intrigued by this well-executed proposal for a system of new forms of collectivity. Alessandra Covini shows affinity with the area by studying the existing building typologies, which form the starting point for her design proposal. Also, there is a certain energy in her proposal. Covini is one of the few candidates who transformed her ideas into a spatial design. For this proposal she is trying to work on another scale and the jury perceives potential in the upcoming steps she can make. In his provocative text and 3D-statement, Bram van Kaathoven questions the assignment as formulated by the jury. In his 3D-statement, he shows the guts to draw the ultimate consequence of his plea for taking “low pressure” very seriously and very literally: that is, not to intervene. The jury notices Van Kaathoven is well informed which makes his human-free space well conceived. The jury was impressed by the model Katarzyna Nowak made as part of her ‘Four Chambers’ project. She designed some very powerful spaces in the landscape. The fact that these spaces are located below the ground surface is unrealistic and interesting at the same time. That is what triggered the jury, as well as the space quality and the inventive way Nowak is looking to the future. 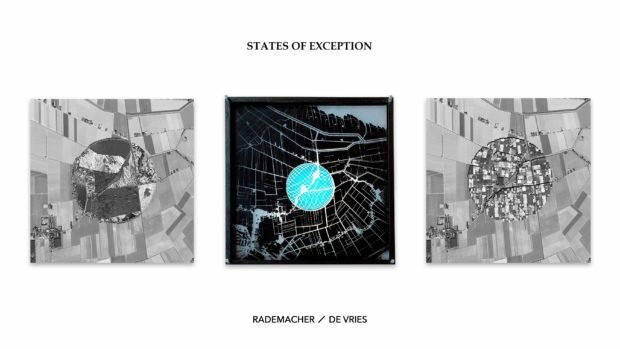 With their proposal, ‘States of exception’, the Rademacher de Vries duo shows a smart way to address the problems in the appointed area, and how to use new paradigms to create spatial solutions. They know what they are talking about and they managed to clearly formulate their scenario. The jury honours their freedom of thinking. Where the open call of the first round addressed issues for a Low Pressure area, the final round focusses on High Pressure; an assignment in a popular urban area, a place where many want to live. We ask, the four shortlisted architects to come up with a proposal for the Sixhaven area opposite of Central Station in Amsterdam North. Candidates are challenged to come up with a carefully designed architectural proposal for the Sixhaven that gives a critical perspective on Amsterdam in the 21st century. The jury asks them to come with a meaningful and non consumptive program for this prominent place that could be significant for the city and cherished by many. Click here for complete assignment. The jury of the Prix de Rome 2018 consists of Mels Crouwel (architect/founding partner Benthem Crouwel Architects), Frank Havermans (founder/artist/designer Studio Frank Havermans), Afaina de Jong (architect/founder AFARAI), Oana Rades (owner/architect Shift architecture urbanism), Ronald Rietveld (architect/founder RAAAF/ winner Prix de Rome 2006), Peter Cachola Schmal (director Deutsches Architekturmuseum). The chair is held by Birgit Donker (director Mondriaan Fund). The Prix de Rome is the oldest and most generous Dutch award for architects below the age of 35. The purpose of the award is to identify talented architects and visual artists and to encourage them to develop and increase their visibility. The Mondriaan Fund has been responsible for the award from 2012 on. For Prix de Rome 2018 the Mondriaan Fund will collaborate with Het Nieuwe Instituut (exhibition) and nai010 publishers (publication).